Heidi Lepper Barrett is a native born Californian (Santa Barbara to be exact!) who made her way to Iowa after earning a Ph.D. in Social/Personality Psychology from the University of California in 1996. After completing a postdoctoral fellowship at the University of Iowa, Heidi began teaching at Drake University in 2000. That was also the year, at age 30, she was baptized Catholic alongside her first newly born son. Heidi is married to Joe and they have two sons. How much of our days are spent relating to ourselves, to others, to the world and to God in the ‘right’ amount, at the ‘right’ time, and without harm done to self or other? Meaning are your thoughts and feelings proportional to the triggering event or do you have a tendency to over or under think and feel? Are your thoughts and feelings timed well or do you have a tendency to think or feel too quickly or perhaps too slowly? And do you ever hurt yourself or the other person and then come to rationalize it or justify it or go so far as to say the other is simply being too sensitive? These questions are like that crunchy biscotti that you want to soften up by dipping into your morning coffee. My last blog post wrote about how our brains can only trigger either degrees of disgust or degrees of compassion at a single time and that our inner thoughts direct whether we experience disgust with or compassion for the other or the self. We can choose and show compassion in new and remarkable ways by altering the way that we think. As Catholic Christians focusing on the word ‘compassion’ and how it holds within it the word ‘passion’ can help create within us the spirit that Christ teaches because our brains too easily will take us in the direction of disgust. The Gospel tells us that Christ paid the ransom for our sins so there is no cost to us in living out love in our relationships with all others. Disgust has no place in the life of one whom loves Jesus. But there’s more: have you ever noticed that within the word ‘emotion’ is ‘motion’? Getting back to the question of do our emotional states lead us to respond in the right amount, at the time time, and with no harm done … A basic psychological fact is that all social behavior is motivated to feel something or to avoid feeling something. Emotions create within all humans motion: motion on our face, in our body, in our voice, in our inner thoughts and so forth. And felt emotion in all humans universally (even in males!) does two things: 1. emotion creates a ‘refracted’ mental state that causes an inability to process new or contradictory information thus causing us to confirm our reaction, and 2. entrenches us our ‘rightness’ of reaction and response. We have just strayed quite far from the ‘in the right amount, at the right time, with no harm done’ process. When we are really mad, we are not capable of taking in new information in that moment and we believe we are wholly right in being so mad. When we are really sad, we are not capable of taking in new information in the moment and we believe we are wholly right in being so sad. When we are really anxious, we are not capable of taking in new information in the moment and we believe we are wholly right in being so anxious. We have just gotten very ‘fleshy.’ How come? Because of the refractory quality of emotion. It is not until some time has passed and our physiology settles down are we able to reflect upon and accept that perhaps we misunderstood something or we were not so correct. The stronger the emotion, the stronger the refraction which means the less capable we are in that moment to process well all the available information and the more we believe we are right in our view. We have a strong tendency to carry forth refraction in all of our thoughts, feelings and doings because our base human physiology sets us up that way. For repetition’s sake: Strong emotion acts upon our minds and bodies a lot like the surface of water acts upon bending rays of light. When something happens in our lives that triggers an emotion that emotion bends how we perceive and respond, think and act…this is true for all humans. Strong emotion, strong feelings and powerful mood states all act to produce a type of refraction that alters the way we see, think, and respond things, people, events, and even God! Unless we understand the refraction that emotions, feelings, and moods induce we will continue to sin and miss the mark of Love between us because refraction universally keeps us tied to our own flesh. Emotions themselves are not ‘bad’ – we need them! We cannot experience love and awe without emotions. The issue becomes when we are unaware of how they impact our subsequent thoughts and actions and how this then becomes a habitual way of relating to the world and it ultimately circumvents our spiritual maturity. The refraction of our flesh as I like to think of it also cause us to turn from God. He of course is always and forever there, but we choose not to see Him when we are in ‘refracted states’ because these states keep us tied to our own flesh. Christ knew this because He too lived in and experienced human flesh. I have been studying emotions and its expressions and its relation to thought and human personality for my 25 year career and have been wonderfully dazzled when I came to know Christ (I am a late bloomer!) and that He spoke about it all along! His Logion 7 in The Gospel of Thomas* says: “Blessed be the man whom devours the lion. Cursed be the man whom the lion devours.” When I read this several years ago and that Christ said it I literally had to sit down!! Whoa!…Wow! How did He know this? Oh, yeah, that’s right, of course He knew! And He shared it with us! When we do not bring into mindful awareness our emotional triggers and what motions those emotions create, we come to harm ourselves and each other and it separates us from Him. That is the animal part of us, it works in our old emotional centers in the brain which have one way pathways to the thinking centers that lead us to be quite ‘fleshy.’ But He told us to consider another way. 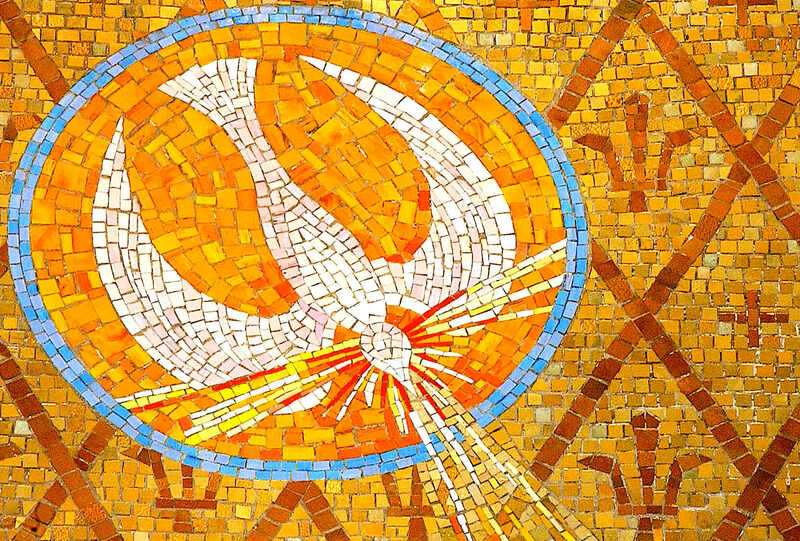 That we are able to get better at that mindful awareness with new learning, practice and prayer, when we ask for the Gifts of the Holy Spirit to enter in in a new way, we come closer to God and can enact Love for each other because the fleshy bits come to hold less power. Wow! Think about what He used as the analogy for emotional states? A lion. He did not say to kill the lion or cut out the lion, He said to devour it. Or be devoured by it. He was telling us that our emotional bits are important so we cannot just cut them out or kill them off. But that with Him we can bring them into awareness and control. And in English what do we call a group of lions? So pride…stay tuned for the next blog, we will talk about how pride deep within and its opposite shame are the fleshy parts of our egos that most often triggers us to strong emotion and the refracted state. She who lives by the flesh remains in the flesh, she who lives by the Spirit remains in the Spirit. *For a source on the veracity of the Gospel of Thomas, please visit here. This entry was posted in Blog Post and tagged Blog, Blogpost, Heidi Lepper Barrett. Bookmark the permalink.